This is lovely, so colourful! I agree with Jacque and Gillian this is just super, Looks like a movie set. Beautiful! 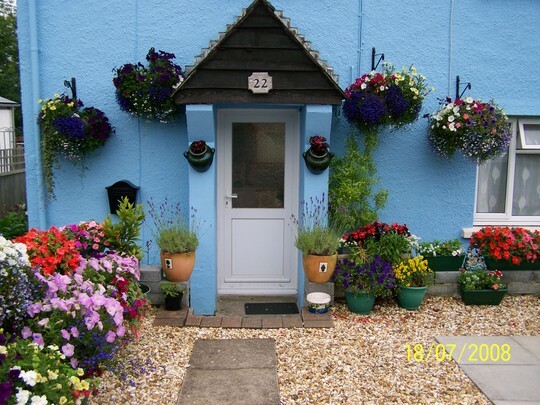 I love the blue house and the plants looks beautiful! What a lovely place to come home to! This area is an invitation to be outdoors all day! Just came across this it's stunning.